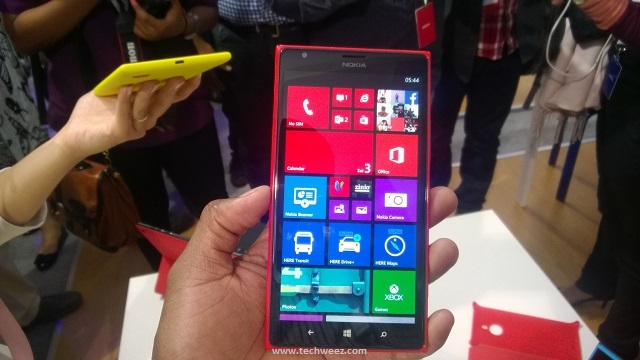 Nokia has today announced the availability and prices for the two Lumia Phablets in Kenya, Lumia 1520 and Lumia 1320. The devices were launched earlier in Abu Dhabi, UAE among a total of 7 devices launched by Nokia. The other devices were the Lumia 2520 Windows RT based tablet, Nokia Asha 503, Asha 502 and Asha 500. The latter three were also launched within this week in Kenya. Nokia Lumia 1520 is the bigger brother which brought full HD 1080p to Nokia Lumia Windows phone among other things like breakthroughs in imaging, smartphone sound and video capture. Lumia 1320 on the other hand is the smaller sibling of Lumia 1520 without necessarily being small, they are the same size with slimmed down specs. Basically this is quite a great compromise for one who would want the great functionality of the 1520 without the huge price tag. Price for the Lumia 1320 is Kshs 38,000.